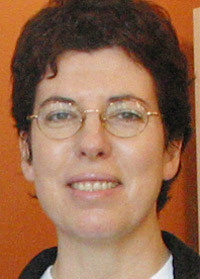 Regine Kurek,	Director, holds a degree in anthroposophical Art Therapy from the Kunststudientstatte, Ottersberg, Germany, and a diploma in Biographical Counselling from the Lukas Klinik in Arlesheim, under Gudrun Burkhard. 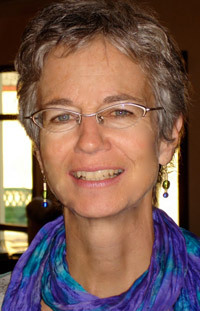 She has worked for many years as an artist, therapist, and adult educator in Canada, United States, and Europe. 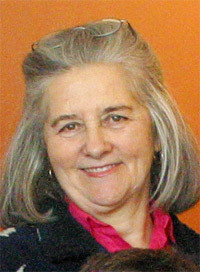 In 1989, she established Arscura, School for the Development of Art in the Healing and Social Fields in Toronto. From 1995 -1997, Regine was one of the carrying teachers in the final year of the diploma program at the Tobias School of Art, England. 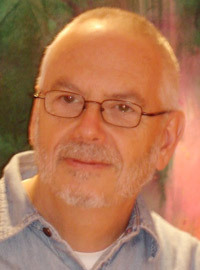 Jef Saunders offers biography work for individuals and couples, using art. A graduate of both the Arscura Art for Life and Life as Art – Biography Studies programs he has 25 years experience both in the psychodynamic and anthroposophical fields. As a co-director of Arscura he carries a particular responsibility for the Core Studies program parts, in which he also teaches. Vibeke Ball has enthusiastically taken up teaching in the Art for Life and Biography programs at Arscura. Her background includes work in public relations,party planning, and the fashion industry in Canada and Europe. Hospice training and volunteering led to her work in art with cancer patients and bereaved children. Vibeke has an active interest in astrology and has studied under Elizabeth Tessier at George Brown College. Connecting with the wisdom of nature and life story work with individuals and groups are her favorite ways of working with art. Dorothy LeBaron applies her skills from her Arscura training in Biography Studies and Healing and Social Art as a facilitator, teacher and adult educator. For the past fourteen years she has been working in both Canada and the USA with individuals and organizations. She has recently been using arts-based learning in leadership training. For the last two decades Dorothy has owned and managed her own retail business. Melanie Nason is a graduate of the "Foundation Studies in Anthroposophy" Program at the Rudolf Steiner Centre. She then completed a two-year Community Development program with Christopher Schaefer and the three-year Art for Life program at Arscura and the Arscura Biography program. Besides supporting and co-facilitating courses at Arscura, she has a special interest in community development and outreach. In addition to her work with Arscura, Melanie organizes conferences for various anthroposophical initiatives in the community. Rihana M. Rutledge recently completed training in Transformative Arts Therapy, Tobias School of Art & Therapy, UK. She is a graduate of the Ontario College of Art & Design University, Toronto and has over eight years experience teaching schools in York Region (K-Grade 6). She has successfully completed training in the Art for Life and Life as Art – Biography Studies, Arscura, School for the Arts and Social Healing as well as Spiritual Psychotherapy, the Canadian Healing Arts Centre. She facillitates individuals and groups (children, youth, adults) using Art and presents workshops in communities integrating Art as a complementary therapy towards healing. 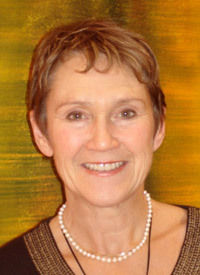 Ingrid Wharton, psychotherapist, graduated with an MA in Education from the Ontario Insitute for Studies in Eduction. She took up the Arscura Art for Life program as an enhancement to her therapeutic toolbox. Ingrid has worked as faculty at the Rudolf Steiner Centre as a Destiny Learning and Adult Education facilitator, and teaches in the Core and Art programs at Arscura. Her therapy is grounded in the understanding that the individual is a threefold being: body, soul, and spirit. She believes that each aspect of our being needs to be addressed in our quest for wholeness. 905-833-7367 vibeke@arscura.com Connecting through art with the wisdom of nature. Life story work with individuals, groups and families. Hospice. Norma Joy - Buffalo, NY 716-876-8034 njoystudio@adelphia.net Art classes for adults. Engaging children and adults in the process of art with a special focus on loss and bereavement issues. 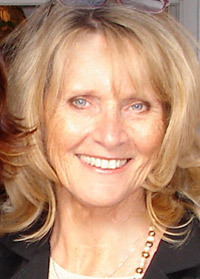 Dorothy LeBaron - Toronto, ON 416-465-2830 dorothy@arscura.com Biography, Adult Learning, Destiny Learning. Art processes for businesses and organizations. Melanie Nason - Richmond Hill, ON 905-709-3136 melanienason@rogers.com Imagination, Inspiration and Intuition, Creativity with groups and indivduals. Elyse Pomeranz - Toronto, ON 416-535-6442 esp@verticalbodies.com Life passage (coming of age, birth, death), conflict resolution & classroom teaching. Leigh Raney - Durham, ON 519-369-1654 Exploring soul and spiritual capacities through art. Guiding others along the spiritual path of the artist. 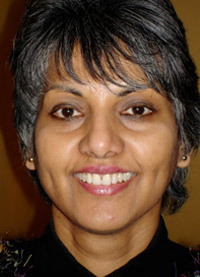 Rihana Rutledge - Aurora, ON 905-841-2882 rihanarutledge@hotmail.com Artistic processes with children, youth and adults. Jef Saunders - Richmond Hill, ON 905 -763-1003 jef@arscura.com Transformative art and life story narrative, for individuals and couples. Ingrid Wharton - Richmond Hill, ON 905-884-7606 tawharton@rogers.com Psychotherapist in private practice using art with groups and individuals to reconnect them to their unique life journey.